ROCKRIDGE PLACE BEAUTY! This exquisite 2 storey with full basement home is located on an executive gated street in the Hatzic community and is sure to impress. Gorgeous custom Chefs kitchen features maple cabinets, high end stainless steel appliances and marble counter tops. The master bedroom is conveniently located on the main floor and features a luxurious spa-like ensuite with a huge shower and amazing tile work. Immaculate finishing top to bottom including crown moulding throughout, maple hardwood on the main floor and bamboo hardwood upstairs. Outdoors there is a spacious deck on the main, a covered patio below and a raised patio in the corner of the private park like backyard. A very special home. 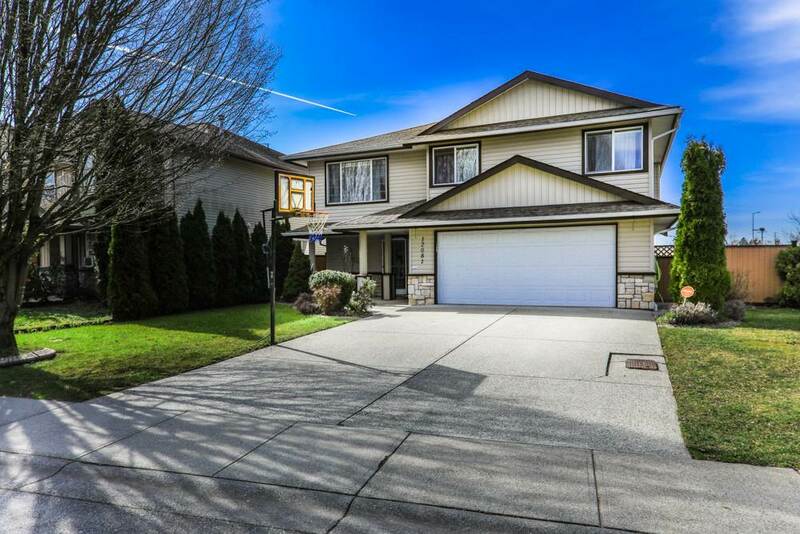 Open House Sat Jan 26 & Sun Jan 27 from 2:00-4:00 pm. PL BCS105 SL 10 DL 5 LD 36. GROUP 3, TOGETHER WITH AN INTEREST IN THE COMMON PROPERTY IN PROPORTION TO THE UNIT ENTITLEMENT OF THE STRATA LOT AS SHOWN ON FORM V.